The Recognition Award program has been established by the Association as a means of recognizing the commitment, achievement and/or potential of individuals in the field of Clinical Mass Spectrometry. This program is one of the means by which the Association encourages the advancement of mass spectrometry in clinical chemistry via the promotion of research, education and application. Self-nominations are not recognized for consideration. 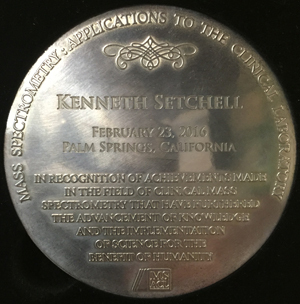 The purpose of the Distinguished Contribution Award is to recognize a contributor who has conducted research, teaching or application of Mass Spectrometry in Clinical Chemistry of significant impact. The basic contact info of the nominee. A concise summary of the applicant's accomplishments and/or contributions. The basic contact info of the nominator. The Award recognizes a focused or singular achievement in education, technology development or applied mass spectrometry in clinical chemistry. The award will be conferred at the MSACL US Annual Conference. The MSACL 2019 US application deadline is November 1, 2018. Nominators and award winner will receive notification by December 15th 2018. 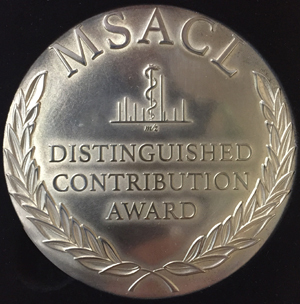 The award winner will be honored during the MSACL 2019 US Conference in Palm Springs, CA.